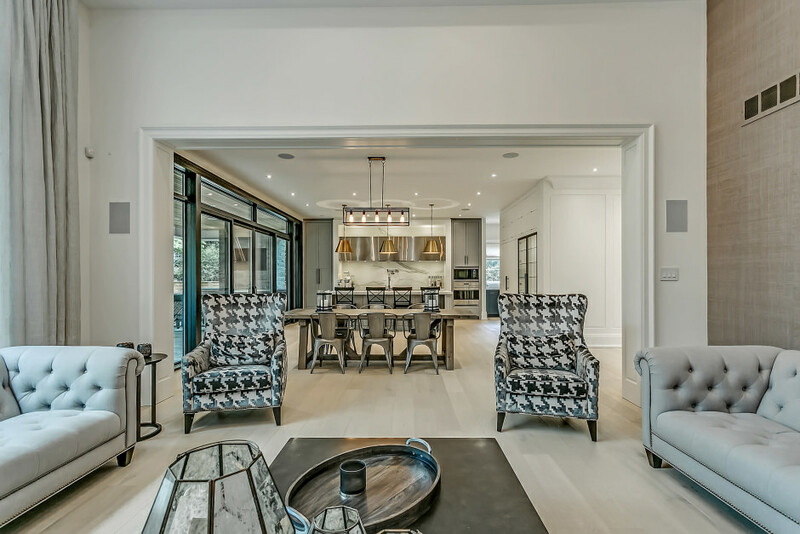 Every once in a while we bring a home to market that makes us Realtors swoon and 2069 Glenforest Crescent is it. 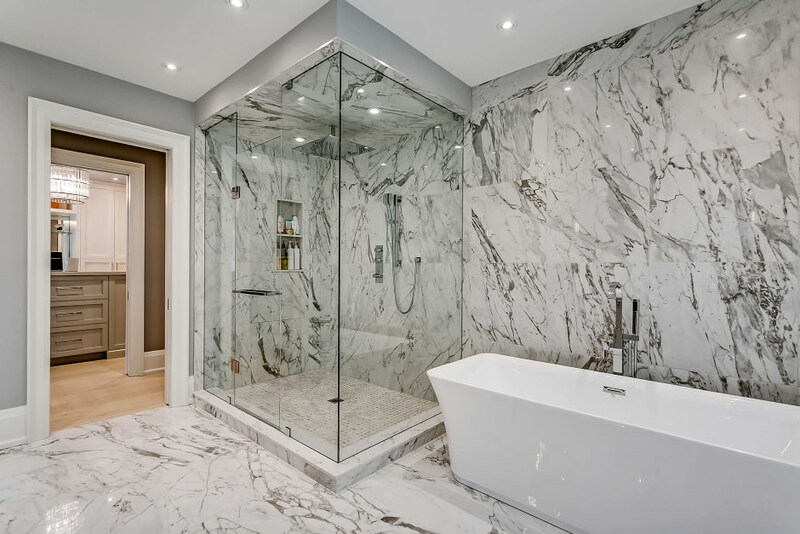 This home is intuitively laid out, packed with all the wants and best of all, the attention to detail and the interior design selections are literally perfection. A great home such as this starts with great architecture, both in terms of curb appeal and equally important, the floor plan flow, and in this instance, David Small nailed it. 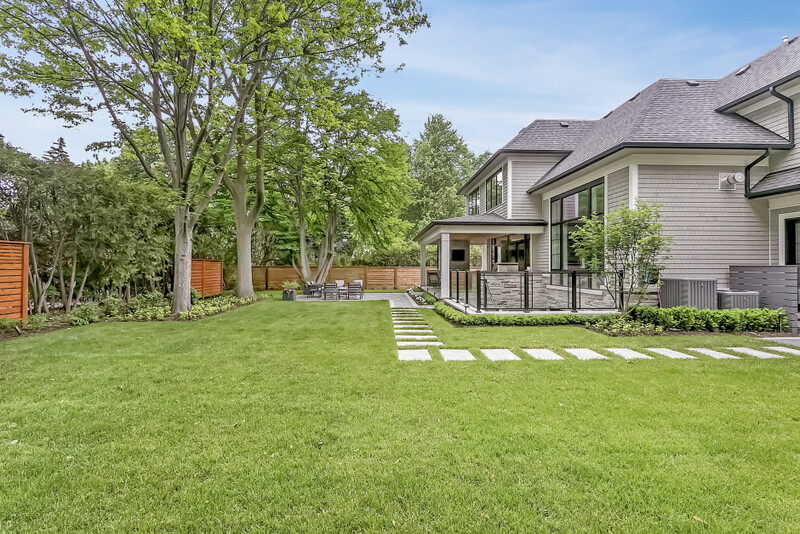 The exterior is predominantly cut stone accentuated with beautiful landscaping and the home looks great from every perspective. 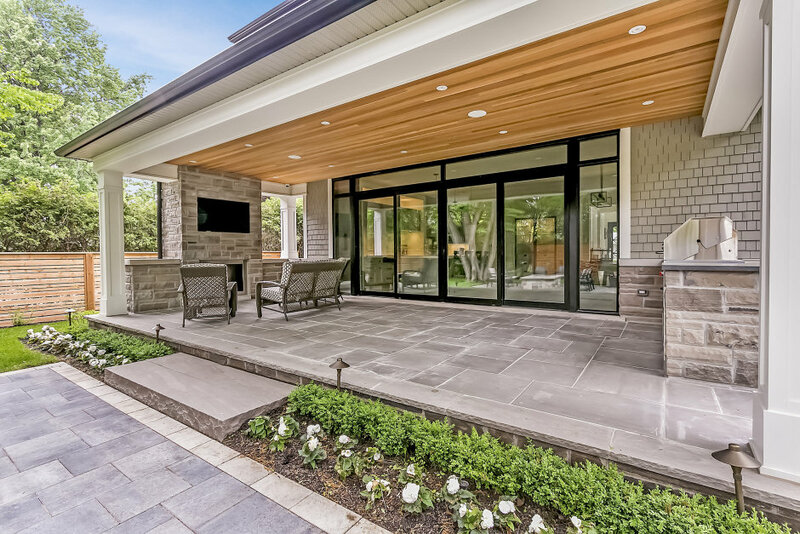 The Pella architectural series windows go well beyond function and become features, including the massive near 2 storey family room window and the sliding door walkouts from both the kitchen and from the lower level are stunning. The abundance of windows flood the home with natural sunlight as does the 2nd floor light well in the ceiling. The main floor features a 2 story foyer that is open to a vaulted office on the right with built-in’s and a very tasteful living room to the left with gas fireplace, built-in bookshelves and tasteful wainscotting. The kitchen and family room combination pretty well fill the entire back half of the home and they are both gorgeous. The kitchen features Rubinet faucets, a porcelain countertop and backsplash and a stainless steel vent hood that runs the length of the island and really gives the kitchen a unique style. Off to the side of the kitchen is a sub kitchen for food prep, small appliance storage and a full walk-in pantry. The family room is 14 feet in height and just under 400 sq feet in area and is ideal for relaxing or entertaining. The focal wall features a 75 inch TV over a 4 foot wide linear fireplace and both are bookended by custom built-ins and smoked mirrors. The best feature though may be that massive window overlooking the private rear gardens. On the main floor, every principal room is spacious and the hallways and staircases wide and bright. Upstairs, each bedroom has a walk-in closet and a full ensuite. 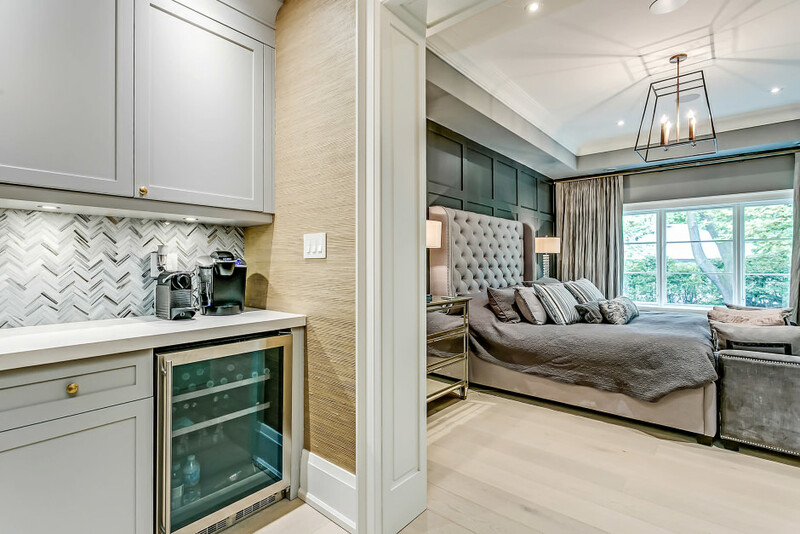 The entire Master retreat is reminiscent of a suite at the Four Seasons with a small coffee bar, an elegant sleeping area, a luxurious and well appointed ensuite and a super stylish and spacious master closet. 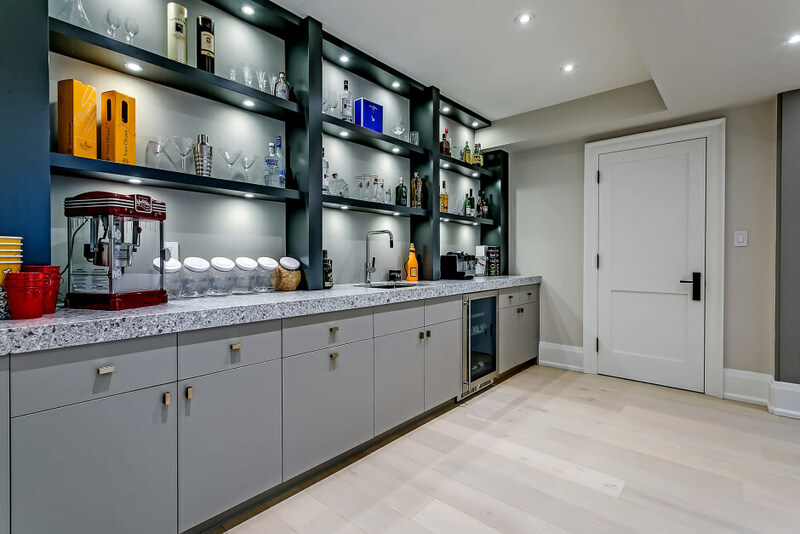 The lower level features a gorgeous theatre room a spacious recreation room, a wet bar with beverage fridge, a wine cellar, a dedicated gym, an extra bedroom with ensuite as well as another spa like bath with steam shower easily accessible from the walk out for a future pool or hot tub. The lower level floors also feature in floor heating. This home is a grand slam home run in game 7 of the world series, if I built my own home, I would want the end result to come out as well as this one has. Contact us for a private viewing, you won’t be disappointed.